After the deadly shooting of a villager near the Letpadaung copper mining project, it won’t be business as usual, says Irrawaddy contributor Khin Zaw Win. I was on my way back from northern Shan State, where I was engaged in pre-consultations of Burma’s draft land use policy, when I learned about the fatal shooting of a villager near the Letpadaung copper mine. My first thought was: Blood has been spilled, this changes things for the worse. My second thought was: So much for the European Union’s riot control training for the Myanmar police. A scathing cartoon that ran recently in a weekly journal says it all. It depicts a westerner standing at a podium, stating that millions of Euros had been provided for riot control training. It just so happened that he himself is dodging bullets. A good part of my present work is on land rights, so I cannot simply express my regret over this incident and move on as usual. It isn’t going to be business as usual anymore. When the draft land use policy first surfaced, my colleagues and I tried to discern the possible outcomes of and responses to the policy. In some ways it seemed like throwing a life-raft to the land rights issue, which had been caught up in a whirlpool. We also considered the possibility of trying to ensure a fairer deal for the rural people. I don’t mean to disparage the policy, but we felt that we were about to be overtaken by events. Efforts to de-radicalize land and land-related politics could be little more than a hope. Political moderation is in danger as land issues become radicalized, all because the ruling administration does not have the requisite political will to address land use issues equitably. 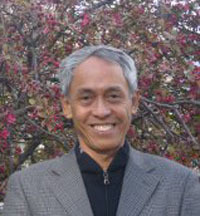 Khin Zaw Win is the director of the Tampadipa Institute in Rangoon. The government’s handling of land seizures and protests at Letpadaung has been a long series of wrong moves. From the outset, the government’s choice of joint venture partners could not have been less endearing, and in its methods of project implementation, the government is simply asking for it. Nothing pushes rural people to extremes like the loss of land they have tilled for generations. Urbanites have joined the rally for this cause, and on Dec. 29 there was a protest marching to the Chinese Embassy in Rangoon. The city hasn’t seen a demonstration like this one in decades. A similar protest took place in Mandalay on Dec. 27. The national education policy was another government gaff, sending newly-emergent students’ unions and others up in arms. Minority grievances also simmer across the country, a tension that isn’t helped by the protracted pursuit of genuine peace. Alleviation of poverty is nothing but a fantasy. On top of all of these woes sits the appalling extravagance of the Independence Day parade, an exercise in self-delusion at the public’s expense. Is it bread and circuses, or no bread and only circuses? Pageants cannot make up for a report card clearly marked F.
The administration can consider itself lucky that the mainstream opposition has shot its bolt. Courses in Democracy have become something of a fad in recent years, it’s just too bad that such edification hasn’t reached the upper echelons of government. Some people worry that there could come a point at which the government employs emergency powers sanctioned by the Constitution, such as a provision for the transfer of power to the military, which would make a coup unnecessary. I would say, however, that such a course of action would be risky for the Burmese military, which is far from what it was in 1962. If present-day Thailand is regarded as a model, well, that is a country that has always been comfortable with coups. For Myanmar, this transfer of power would be an extremely destructive step.